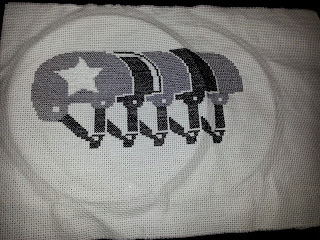 I have another roller derby craft ready! This one took forever! 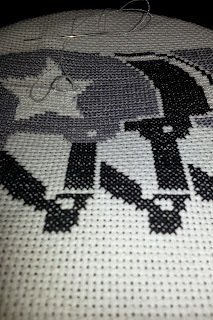 You can't tell in the picture but the star and pivot stripe both have iridescent white floss. It was a pain to work with and I don't think it shows up too well but the whole then felt incomplete without something in the star and stripe. 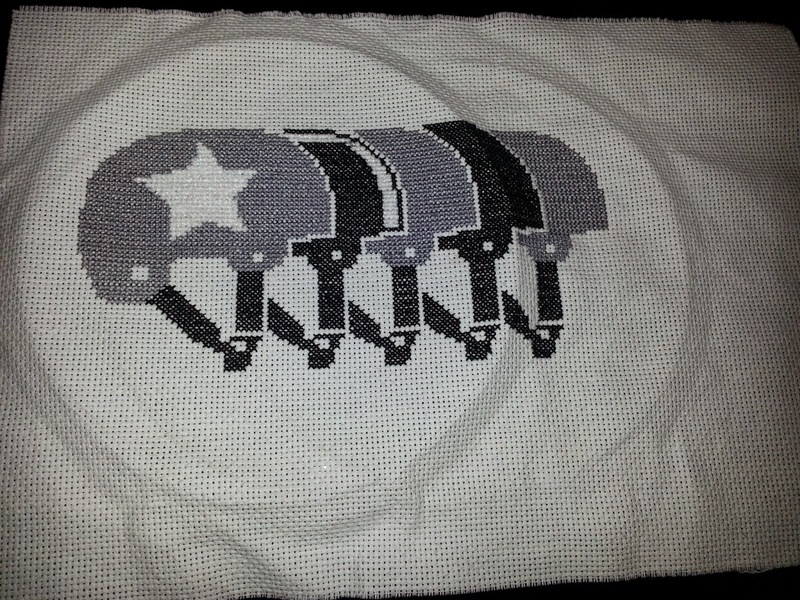 As always you are welcome to download and make the pattern: Roller Derby Team. Here is the link to the PDF: Roller Derby Team PDF. 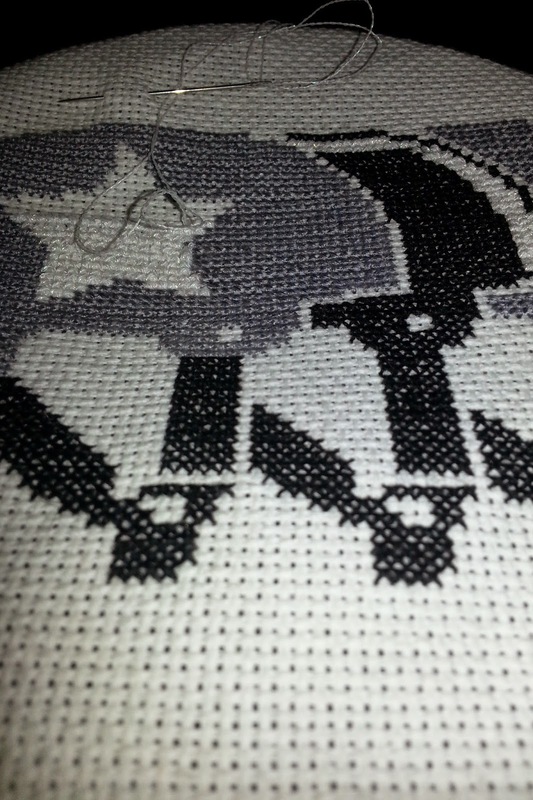 The star is black but the pivot stripe is blank. Play with colors and adapt as needed. It's free so that all crafty derby girls can make cool crafty stuff!